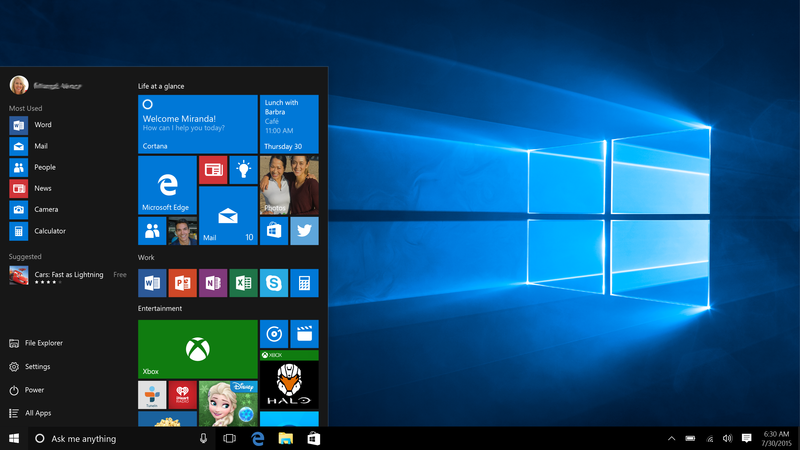 Let’s begin with the facts, Windows 10 is here and it is here to stay. This is not to say that you must upgrade to Windows 10 even though it certainly feels like that (more on this later.) Even if you choose to prevent Windows 10 from being installed on your older computer, during your next purchase it is likely to be your only choice. For this reason, it’s time to take a look at what the new operating system includes and where we can take value from it. Lastly, we’ll explore how to maintain windows 7 on your original computer so that you can ensure proper compatibility for your older software/hardware for a little while longer. Microsoft has modified one of the most confusing aspects of Windows 8 (the start menu) again. Luckily it’s better – not perfect but better. It no longer replaces EVERYTHING you are in the middle of doing, and it features suggestive apps that often match what you are likely to be looking for. For many users of Windows 10, this becomes normal after a few weeks and adjusting to this new start menu from Windows 7 (and especially Windows 8) is not too far from comfortable. Microsoft has given us Cortana for voice and computer searching, as well as a growing App store for purchasing new programs. 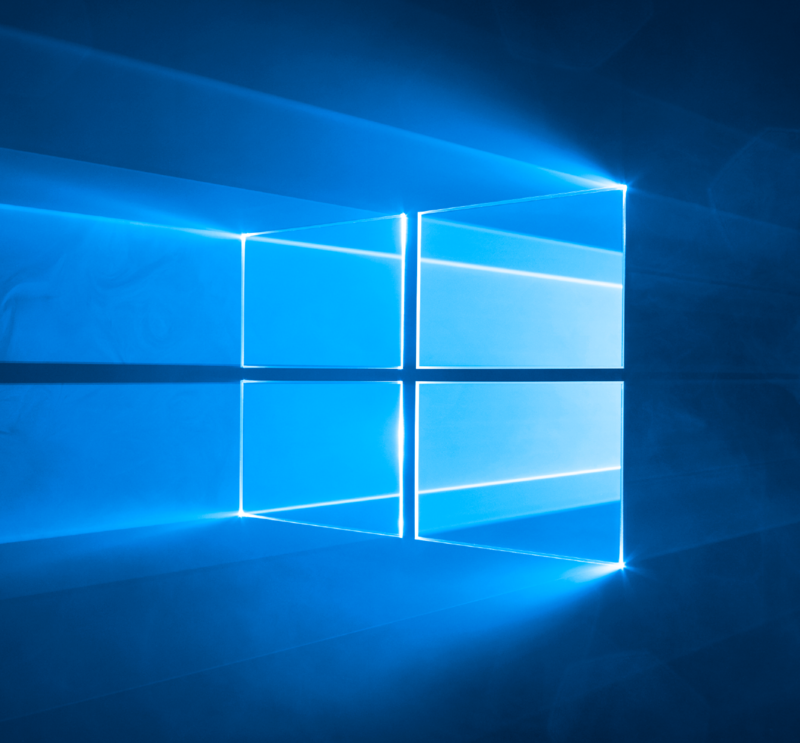 The biggest reasons to embrace Windows 10 are that it supports the newest hardware on the market, features a modern and nicely refined visual experience and lastly – they’ve got more up their sleeve or so they say. Microsoft has promised (and began to) offer improvements and milestone goals for making Windows 10 a “Platform” and not just a stop on a train line like previous versions. If you are looking for a comparison, think of Mac OS X. I’m not going to promise that Microsoft can do what Apple has done, but they’re going to try – and this in itself is not a bad thing. 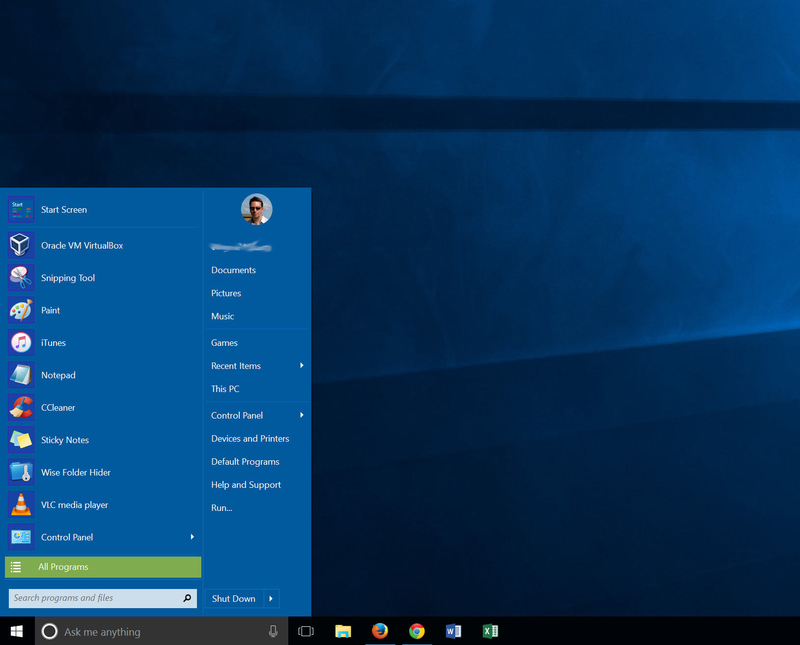 If Windows 10 is really here to stay, it’s new start menu doesn’t have to be. Thankfully a great little program called ClassicShell does nice job of adjusting things to look just a little more like Win7. Classic Shell is a free and extremely simple program that replaces the Start Screen with a familiar looking Start Menu. If you love the new features but wish you had some of the old functions back, don’t fret – the new Start Screen is still easily available at any time. For more information or to download Classic Shell, I’d suggest hopping over to www.classicshell.net. Check out the shot below of the same operating system with ClassicShell installed. There are many reasons why a computer running Windows 7 should not be upgraded to Windows 10. These reasons include home computers using older software, older printers or configurations that may be disrupted by such an upgrade and especially Business environments that depend on older software. 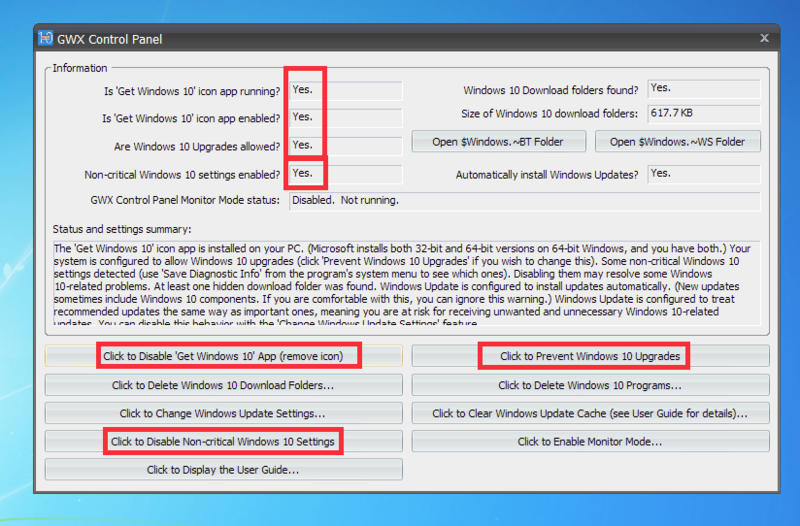 If you find yourself in one of these scenarios, there is still a way to prevent Windows 10. I’ve outlined our process below should you choose this path. If you’d like help or guidance on this task, please call us for a session to discuss or perform. A task like this can be done remotely and would typically take up to 30 min. Update: Warning: Microsoft has been increasing their aggressive behavior to thwart efforts like those below, please be aware that running windows updates in any fashion after this steps below may un-do the changes that have been made. You’ll know you are finished because each of the top left outlined “Yes” will change to No. You can now press the X and go back to enjoying Windows 7.